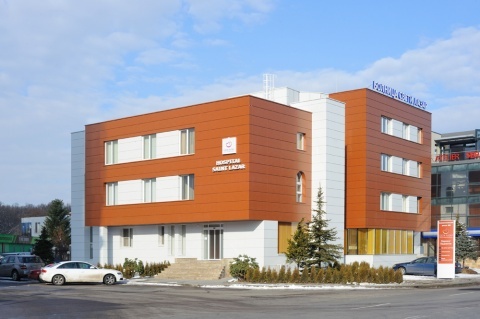 The St. Lazar Hospital has been establishing its reputation among the obstetric-gynecology hospitals in Bulgaria for 12 years now, and it has deservedly won the trust and love of its patients. There is no greater moment in a person's life than the birth of their child. Every woman, every family goes through the nine months of pregnancy with the hope and dreams of this moment – and everyone has their own desire and vision of whether to have it as a natural and beautiful moment, or as a process directed entirely by the specialists. What distinguishes the St. Lazar Hospital from all others is that the woman in labor is in a peaceful and friendly atmosphere, and gets informed and encouraged at any stage of giving birth. The choice of the team of specialists of Dr. Valentin Nikolov and Dr. Tiyana Nikolova is rated very highly with respect to their competence and professionalism but there is also one more thing that is just as precious – their humaneness and intelligence. There is not a woman out there who does not appreciate good and humane attitude, and who would not want to have such specialists by her side at the time of giving birth. Dr. Tiyana Nikolova's approach is to create an individual plan for giving birth that is coordinated beforehand between the mother and the doctor. Dr. Tiyana Nikolova's priority in the development of the clinic's activities is to encourage natural birth – in accordance with the individual preferences of the woman in labor, including by providing peace and quiet, opportunity for movement during the contractions, the application of a hot pack in the perineal area, the presence of relatives, the choice of a position at the time of giving birth, immediate skin to skin contact after birth between the baby and the mother, placing the baby at the mother's breasts before the placenta is out, waiting for the natural removal of the placenta, encouraging breastfeeding, among others. Latest equipment at the maternity ward in St. Lazar Hospital in Sofia. 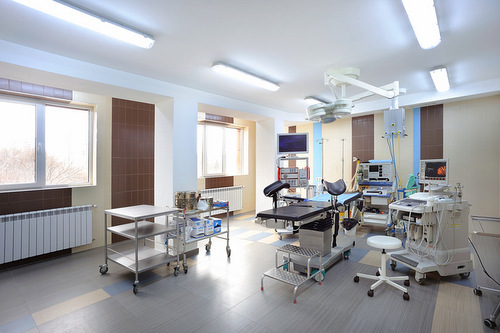 By providing these approaches, which are new for Bulgaria, the St. Lazar Hospital gives the woman an atmosphere that is very close to the one at home. At the same time, she would be under observation by several specialists (gynecologists, neonatologists, obstetricians, nurses) who are ready to react immediately and professionally in the event of any kind of complication relying on their massive knowledge and experience, and latest equipment. That is why statistical data ranks the St. Lazar Hospital as one of the leading obstetric-gynecology clinics in Bulgaria. One of the most important indicators about the level of obstetric and neonatological aid at a health clinic is a the Perinatal Mortality (PNM). It is calculated by the number of infant mortalities between the 28th gestational week and the 168th hour after the birth per 1000 births. At the St. Lazar Hospital, this rate is only 1.1% for a 10-year-period (2 cases that were followed outside the clinic ending with intrauterine deaths before they were admitted to the clinic), compared with Bulgaria's overall annual mortality rate of 12.3%. Intranatal mortality (the number of children who die during the actual birth) as a percentage of the PNM is especially indicative). For the entire period of operation of the St. Lazar Hospital this rate is 0%. Another important indicator is the death rate of patients who were admitted to the clinic, and died as a result of pregnancy or birth complications. At the St. Lazar Hospital, this rate also is 0%. A private room at the St. Lazar Hospital in Sofia. Why did Hristina and Yordan Shopovi chose the St. Lazar Hopsital for the completely natural birth of their daughter Sophia? How did you take the decision to give birth the entirely natural way, without any interventions? We had the idea for a completely natural birth when we were about to have our first child but back then we had to resort to a C-section because of an emergency, and we were unable to materialize our intention. When we found out we were going to become parents for the second time, we were entirely sure that we would have the birth without medical intervention if that was at all possible in Bulgaria. What were your considerations in selecting this type of giving birth? In most cases, the pregnant women prefer to give birth with medical aid even if this means only having anesthesia to avoid the pain. Pain is something completely natural – if helps the body to cope with this change. From this point of view, this is the best solution for both the baby, and the mother. Most women do not take into account the pain after the C-section, which in itself is a pretty serious intervention, and subsequent recovery is like after any other operation. What is more, with a C-section, there is a greater risk for both the mother and the child than there is with natural birth. The recovery pain after a C-section is stronger and more continuous, as is the hormonal imbalance, and the post-natal depression is much more serious. During natural birth, contractions help push out the liquid from the baby's lungs, and that way the baby is ready for the air environment. Last but not least, with C-section, in spite of the medical aid, there is always the risk of allergies, asthma, and problems with breastfeeding. Why did you decide to give birth at the St. Lazar Hospital? During the eighth month of our pregnancy, we started going around the hospitals in Sofia in order to check which one would meet our requirements the best way possible. St. Lazar was the only hospital that was ready to accommodate entirely all of our demands that stem entirely from our desire to give birth to our child the best way possible, and in accordance with the latest global trends. Most hospitals in Bulgaria stick to the "established protocol" - for example, that the next birth after a C-section would again necessitate a surgery, or that there is a period in which the mother must be under observation, which creates serious discomfort, and can terminate the natural processes. St. Lazar was the only hospital that agreed to organize the entire process in a way that completely met our expectations. The very act of giving birth itself went very quickly, very easily, and without any interventions, as we had agreed beforehand. For the natural course of giving birth, we are extremely grateful to doula Elena and obstetrician Emiliya. One of the reasons to choose St. Lazar was the opportunity to have a doula present at the time of birth, and the active participation of a the obstetrician in the process.